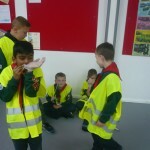 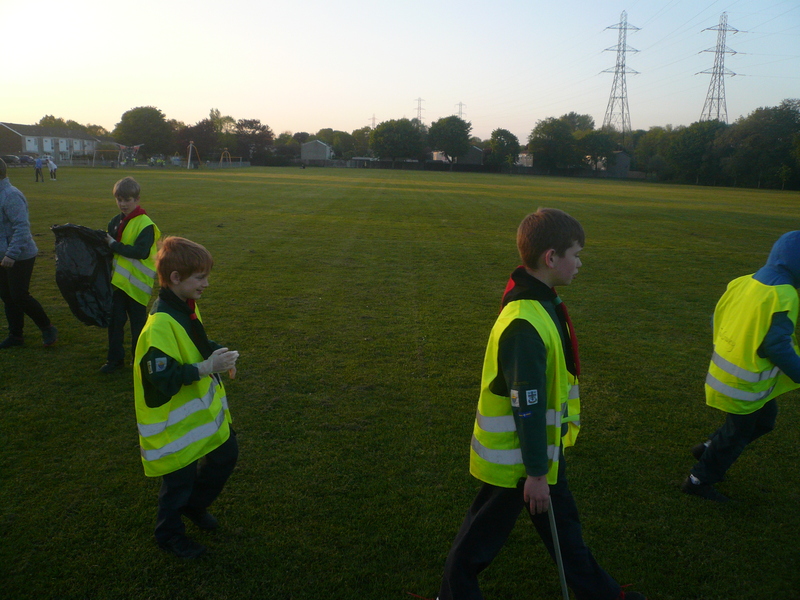 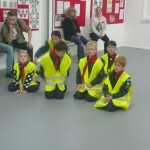 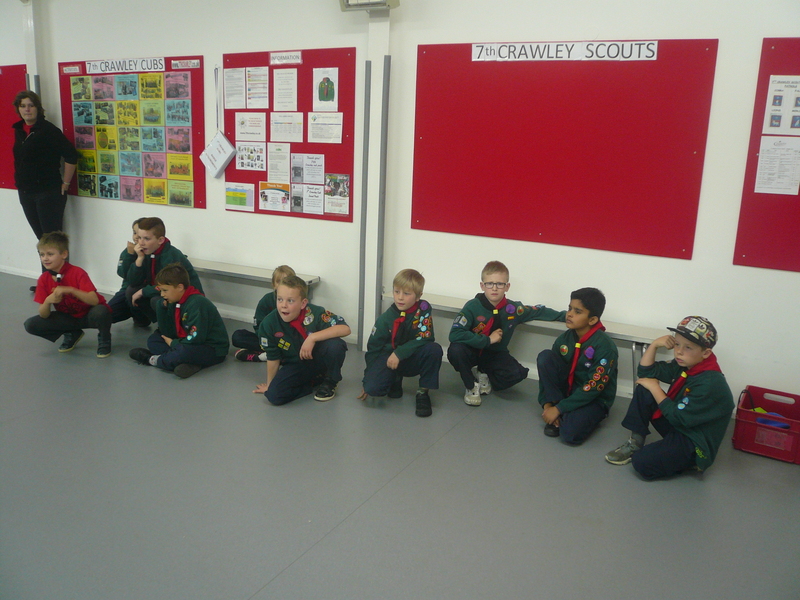 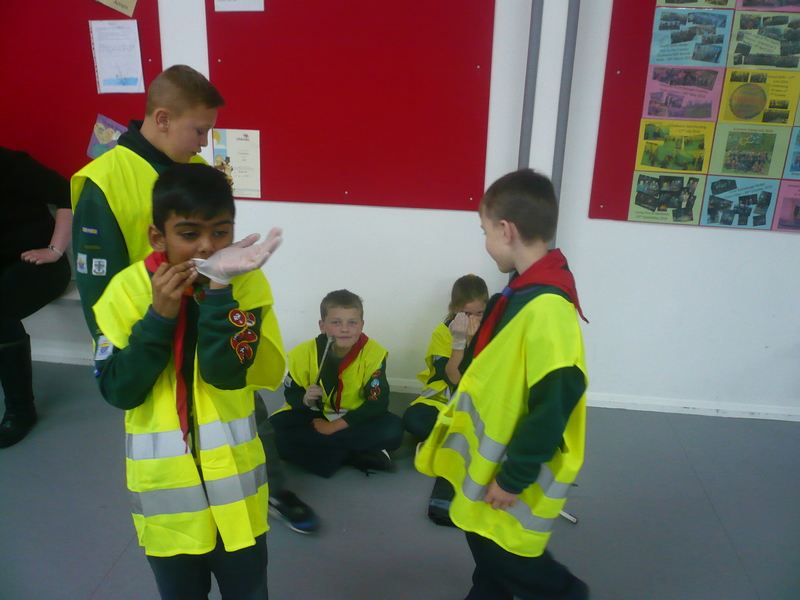 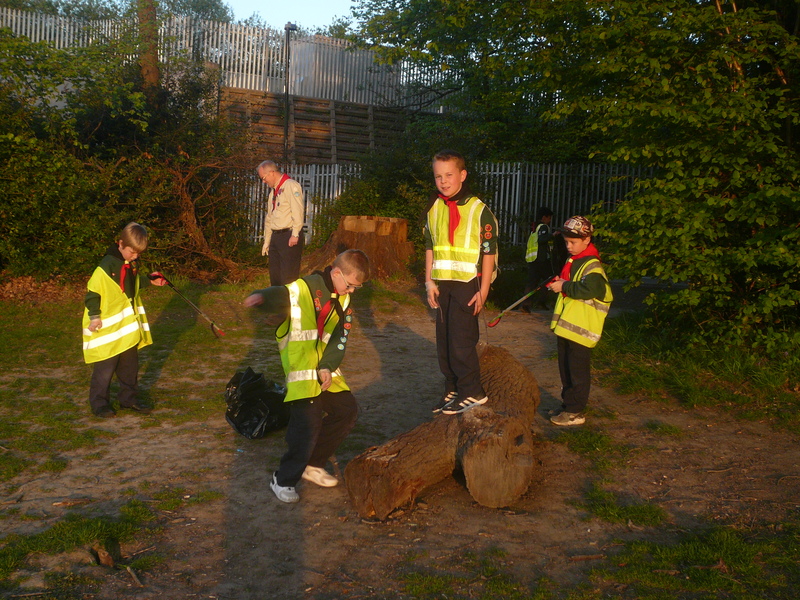 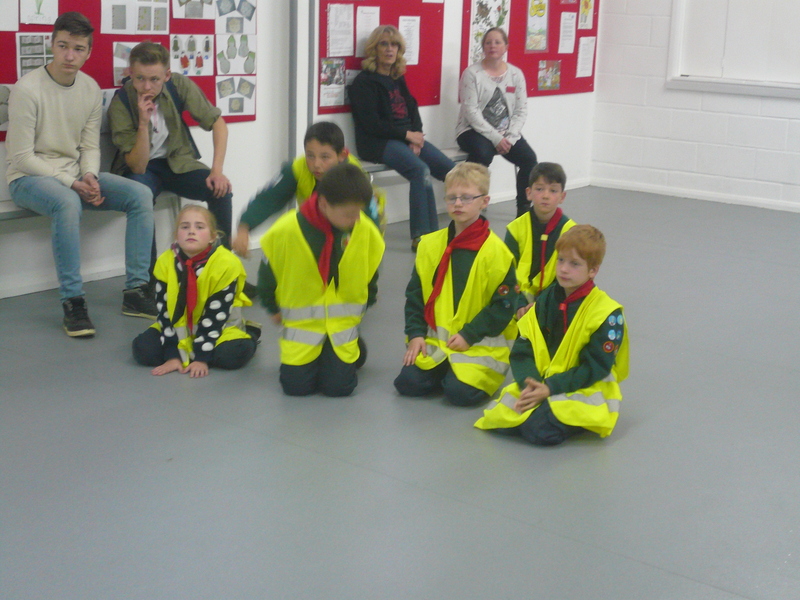 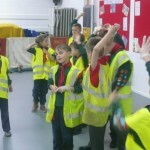 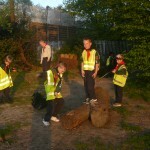 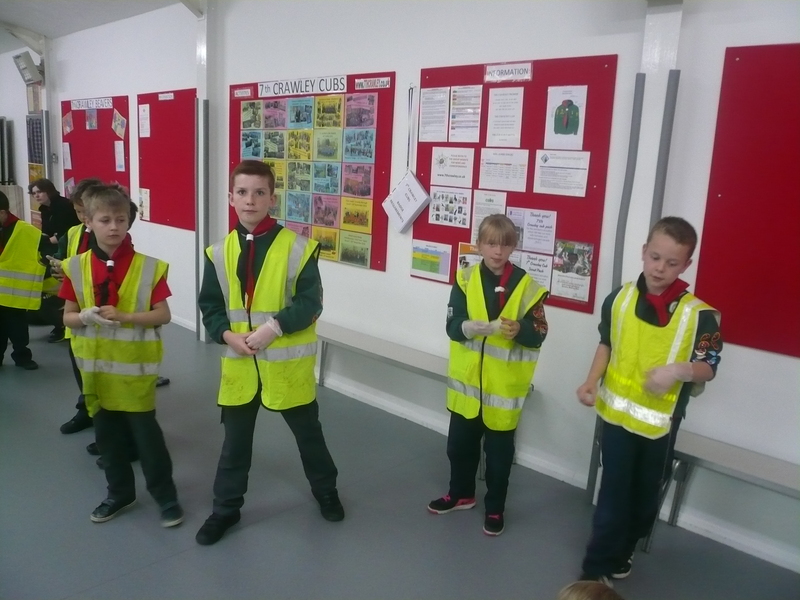 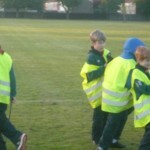 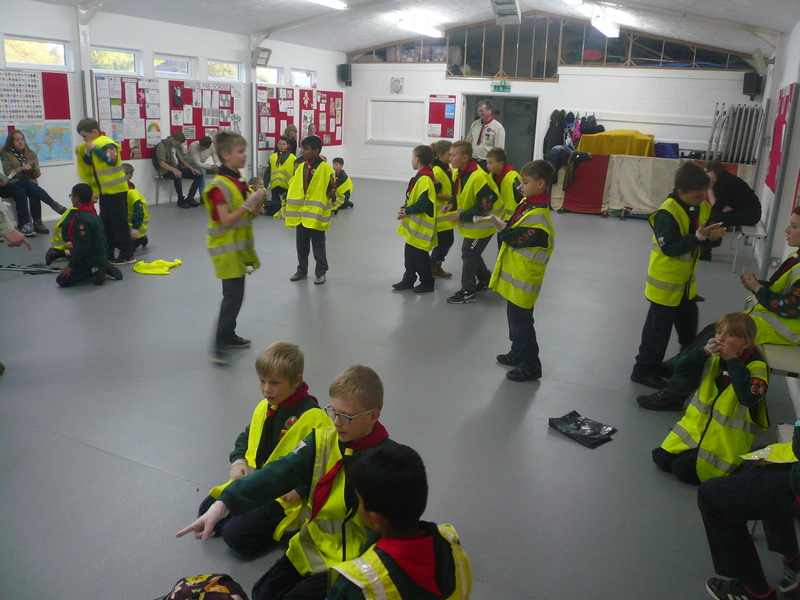 Tonight the Cubs took part in the first of their “Community” projects towards the Environmental Conservation Activity badge. 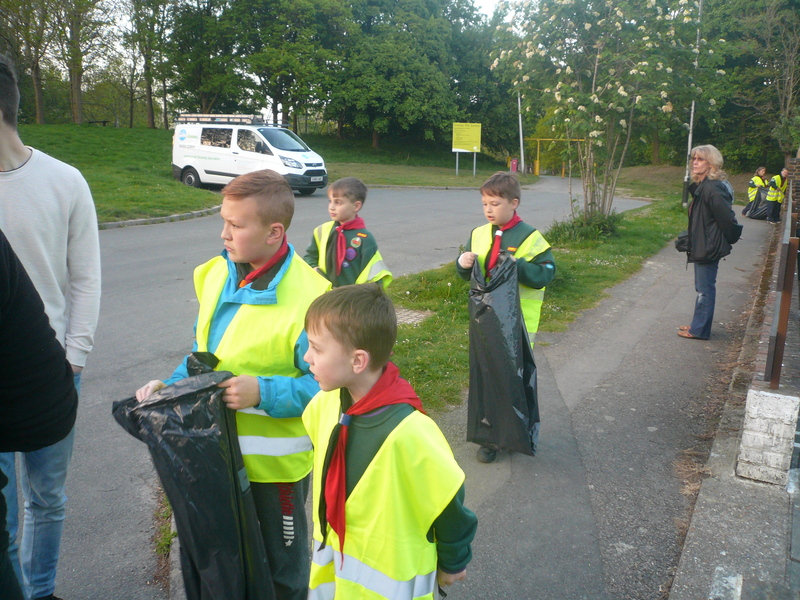 We had a chat about the effects of littering in the locality, the dangers and unsociability of the actions of some people by failing to take their rubbish home or disposing of it properly at a local amenity dump etc. 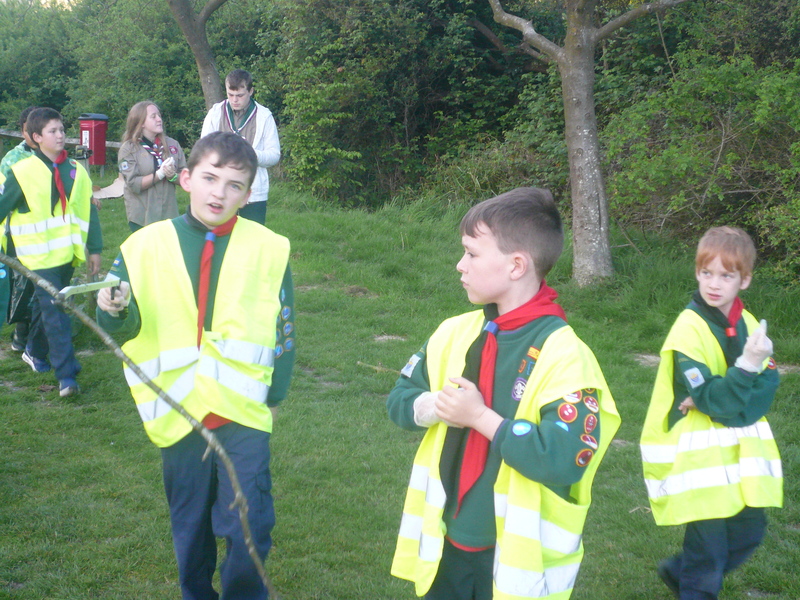 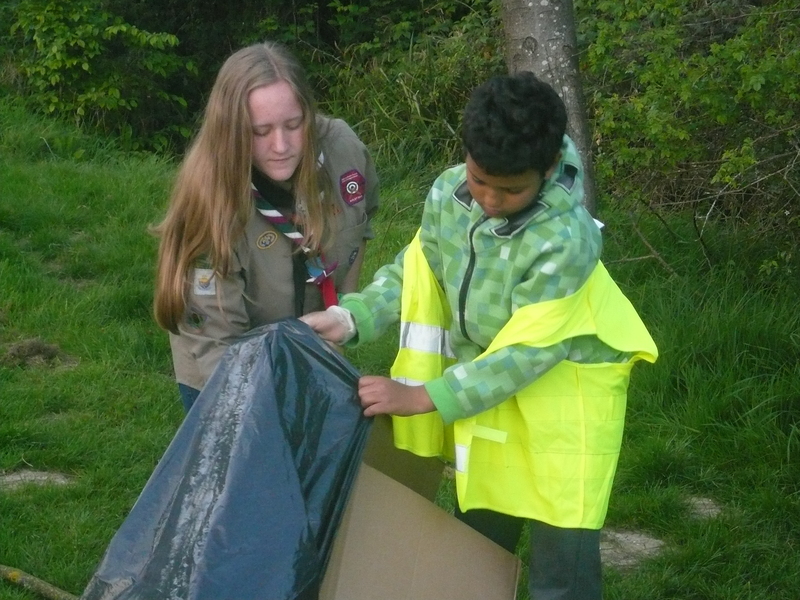 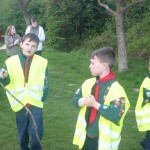 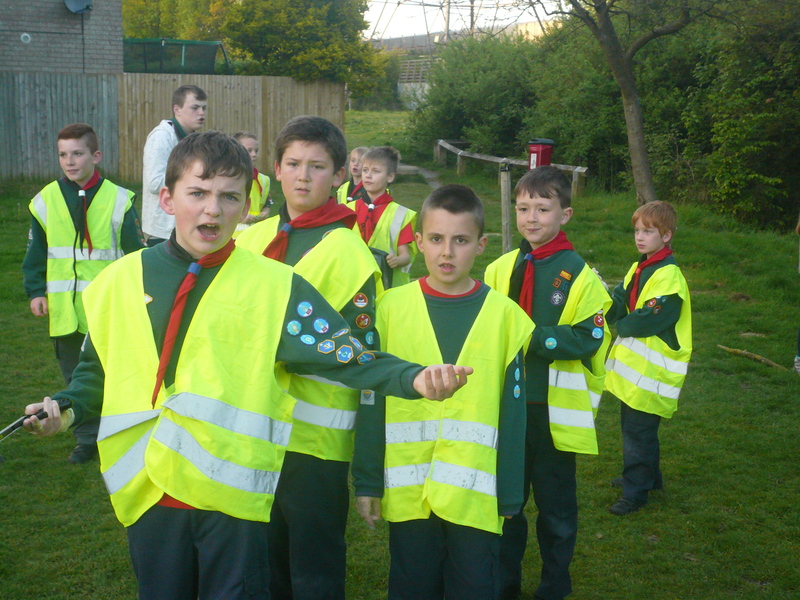 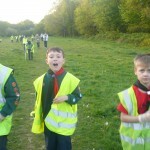 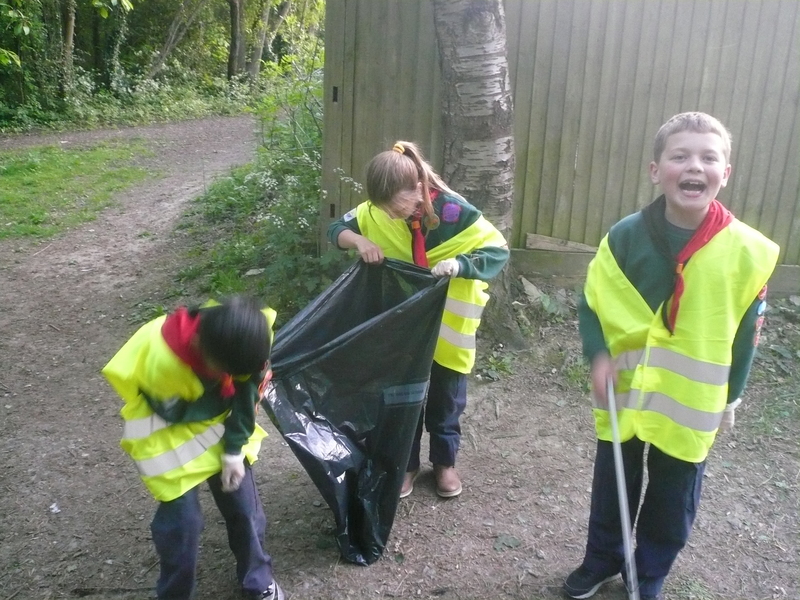 We also talked briefly about fly tipping something that has affected our Scout Group on occasions over the years so is a topic VERY close to home! 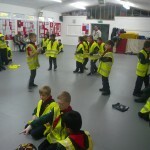 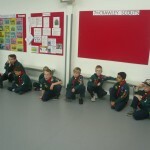 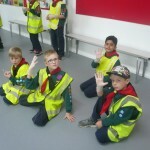 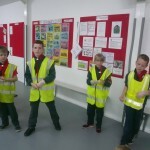 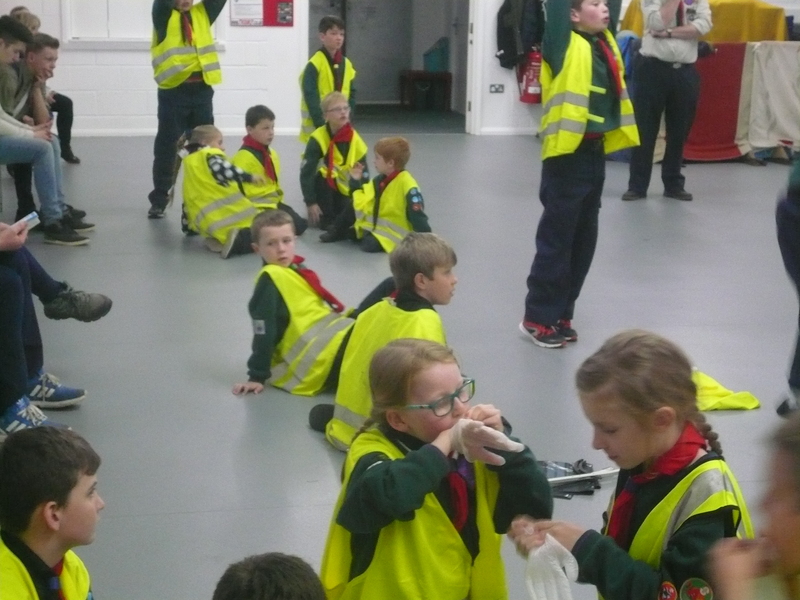 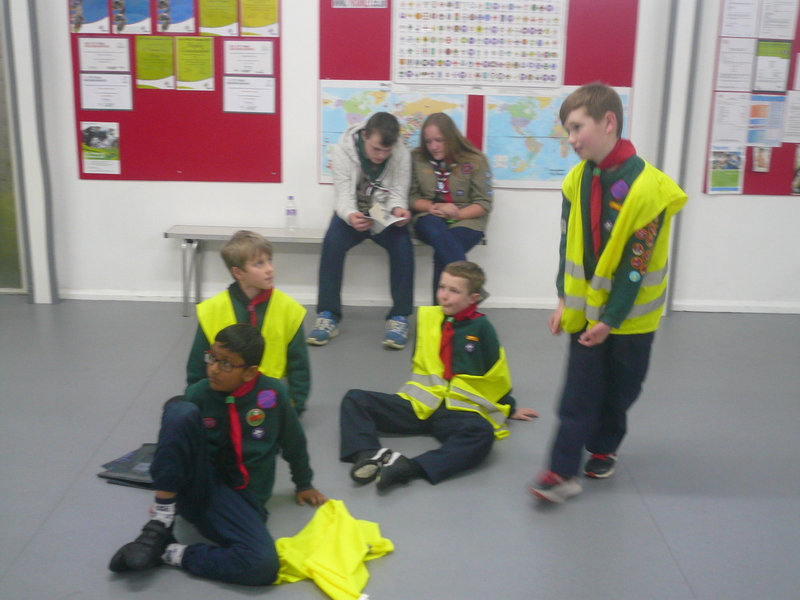 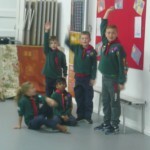 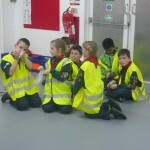 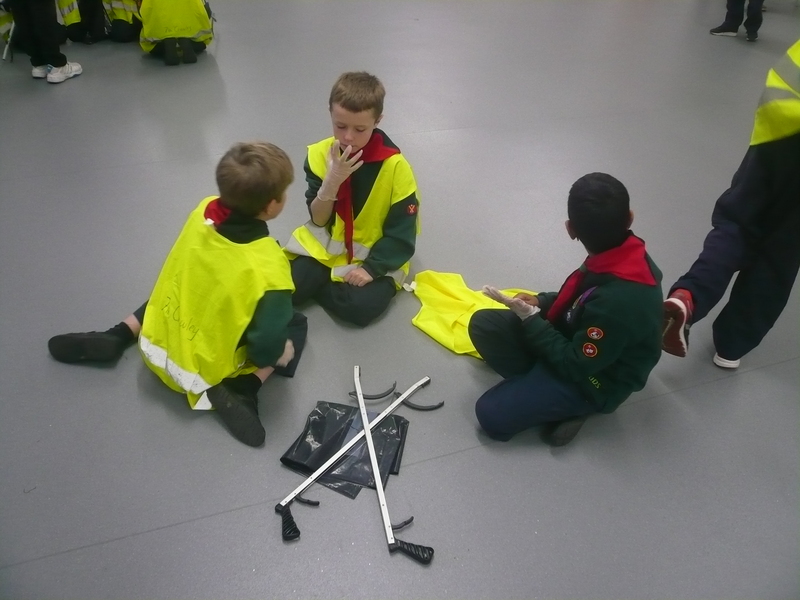 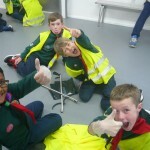 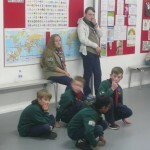 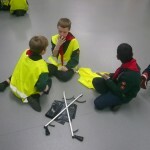 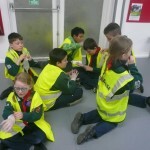 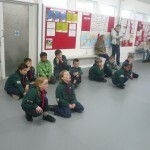 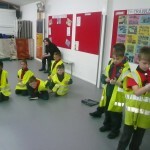 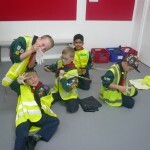 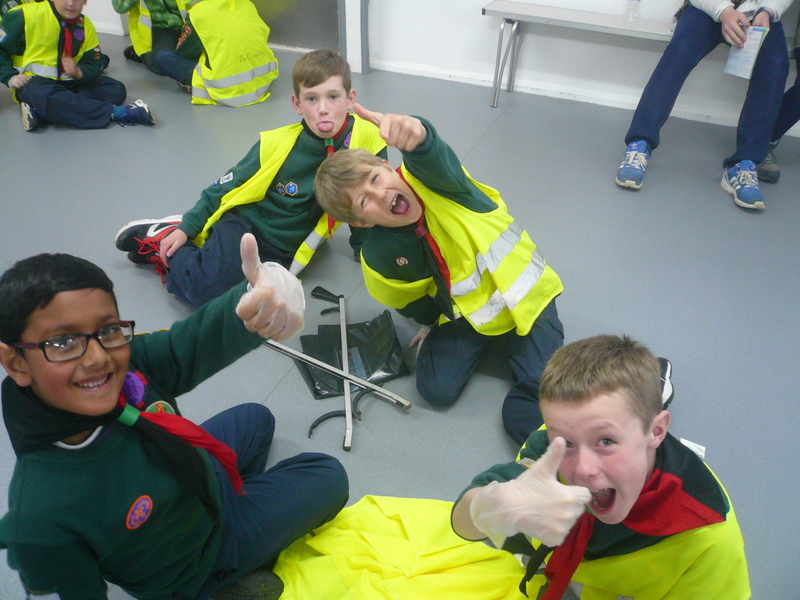 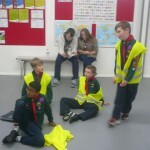 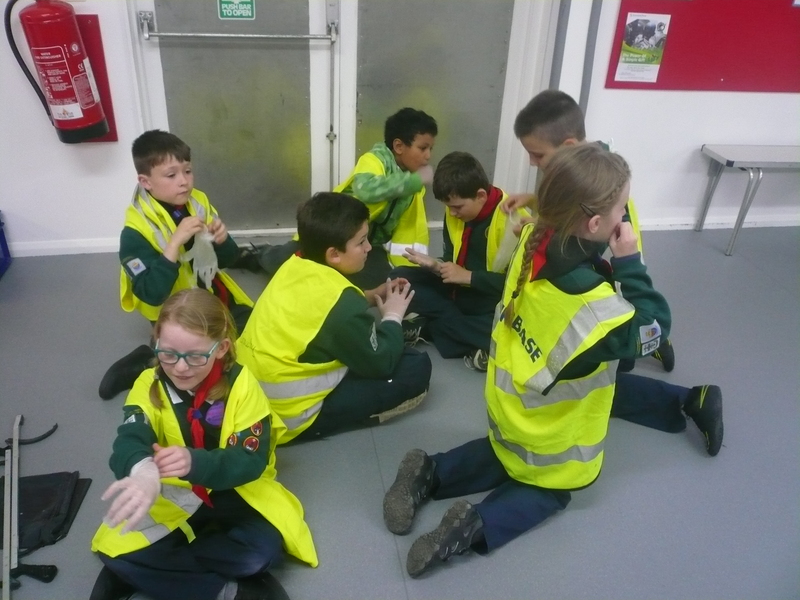 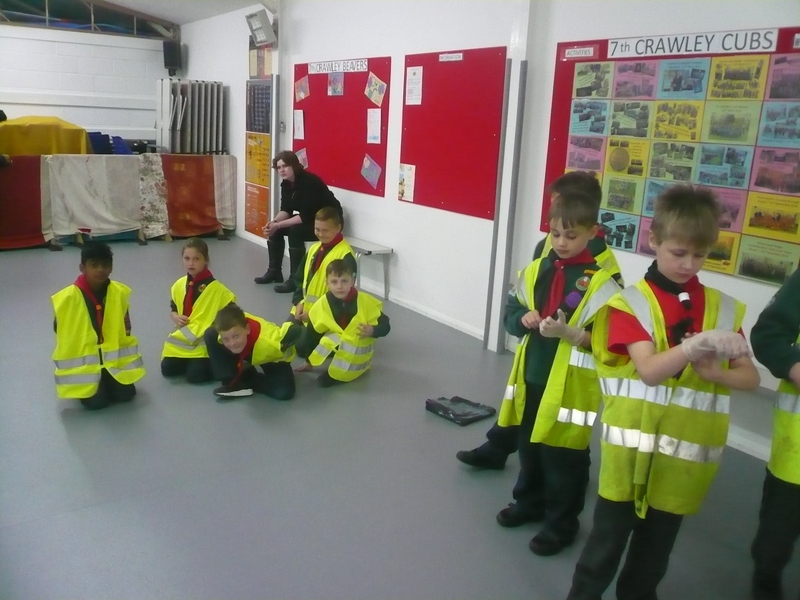 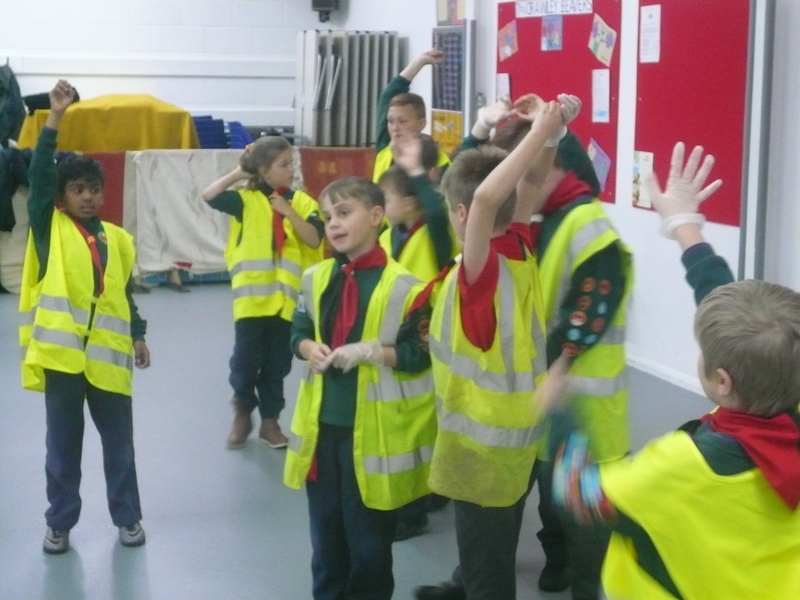 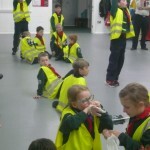 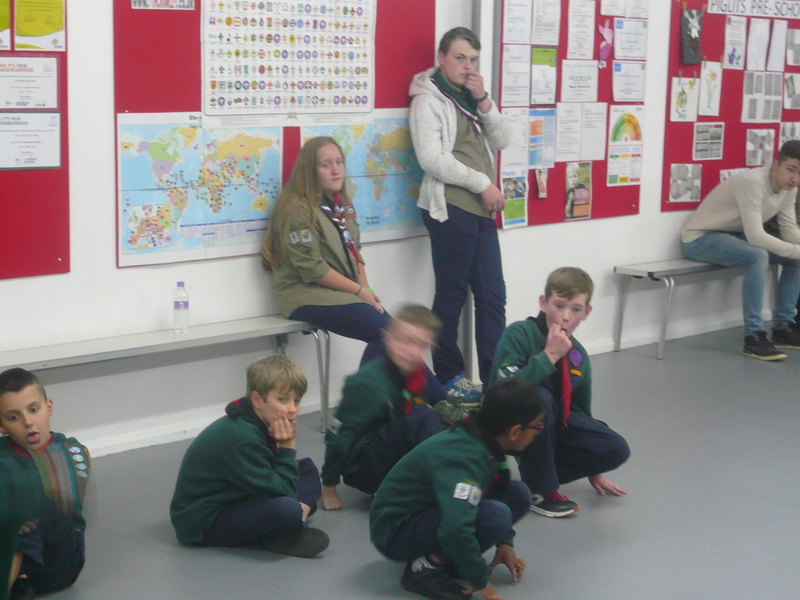 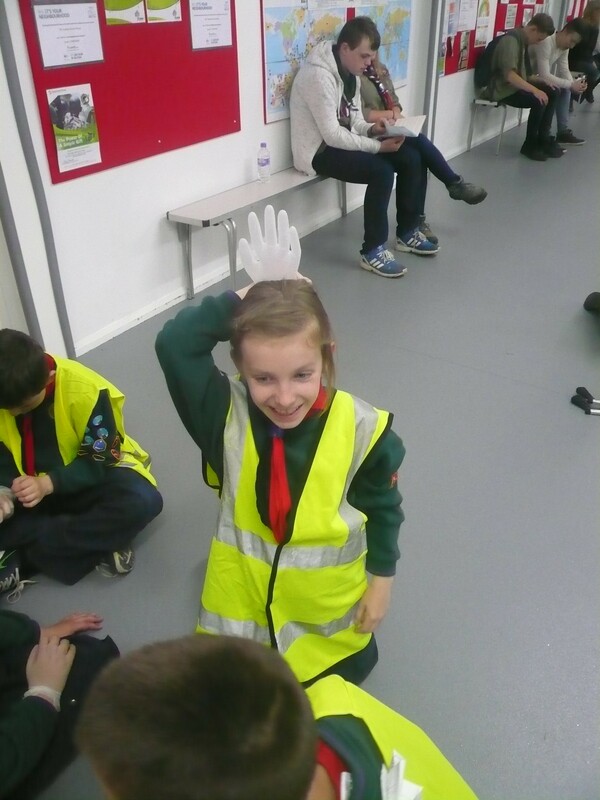 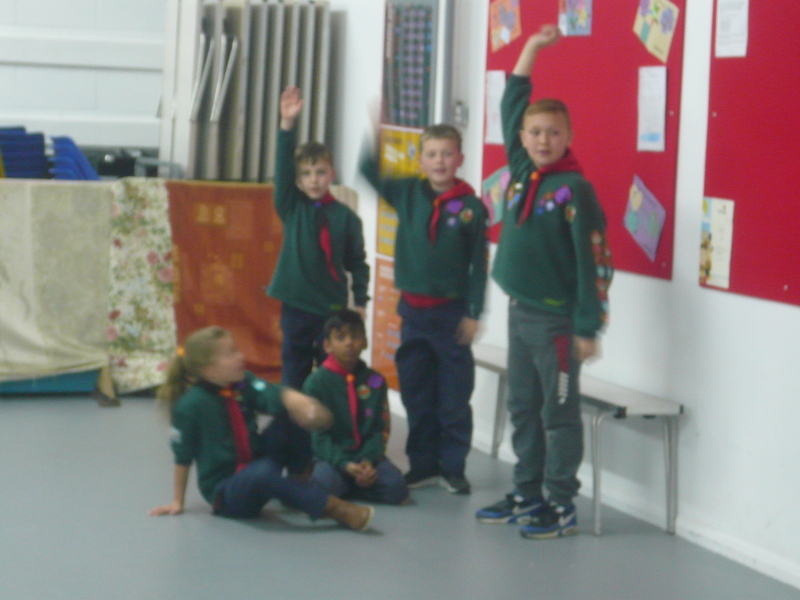 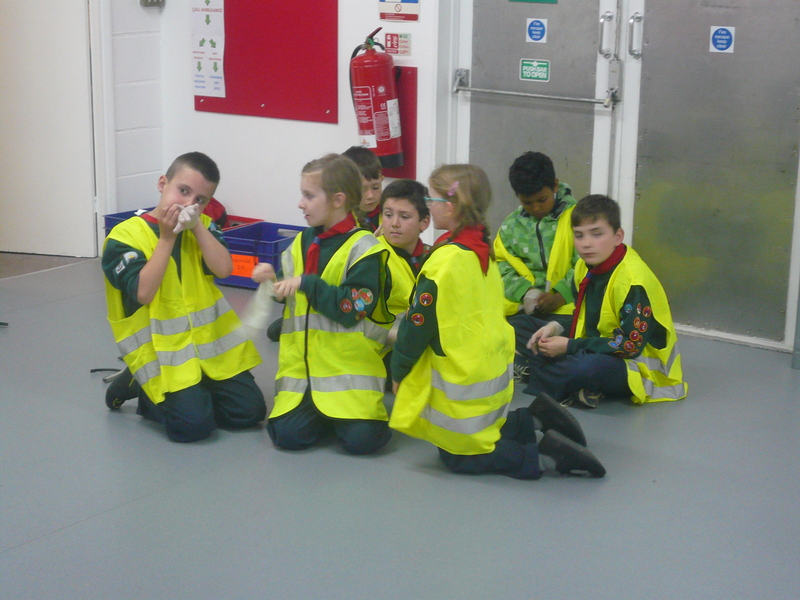 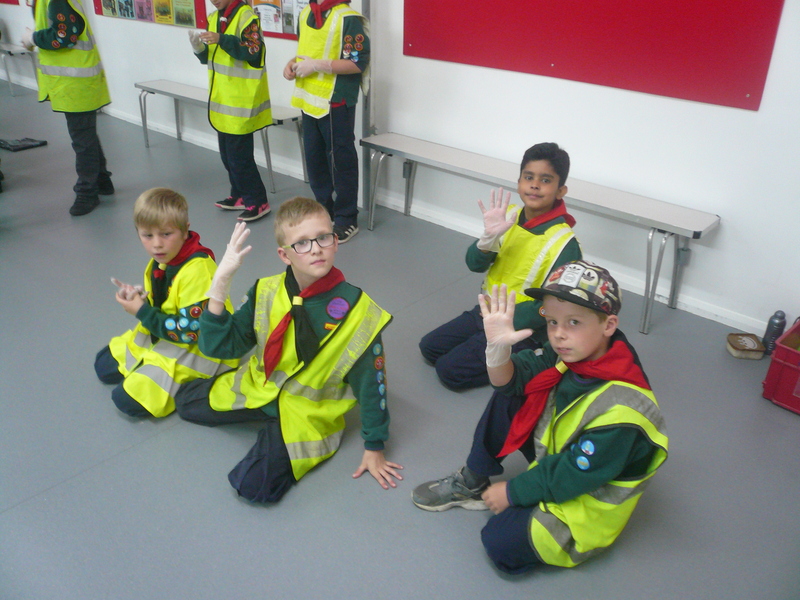 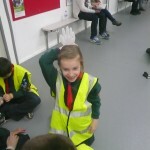 Then followed a quiz on what the Cubs had learnt from last week (recycling and renewable energy) so that each six could “earn” the equipment required for the main activity of the evening. 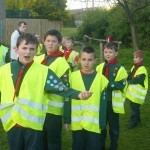 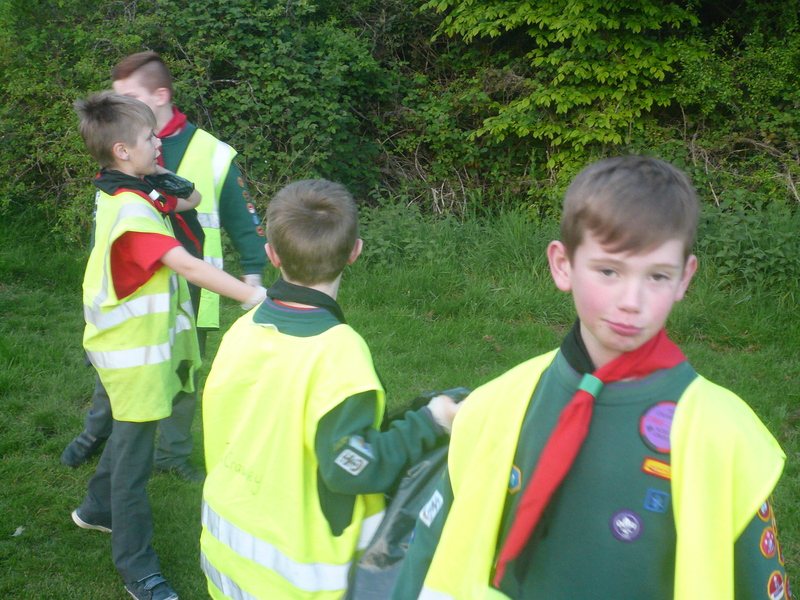 We then took to the roads and by-ways of Furnace Green on a litter patrol having agreed that it would be dangerous for a cub to pick up broken glass or, if found, syringes and instead to report these to the adult leading their particular group. 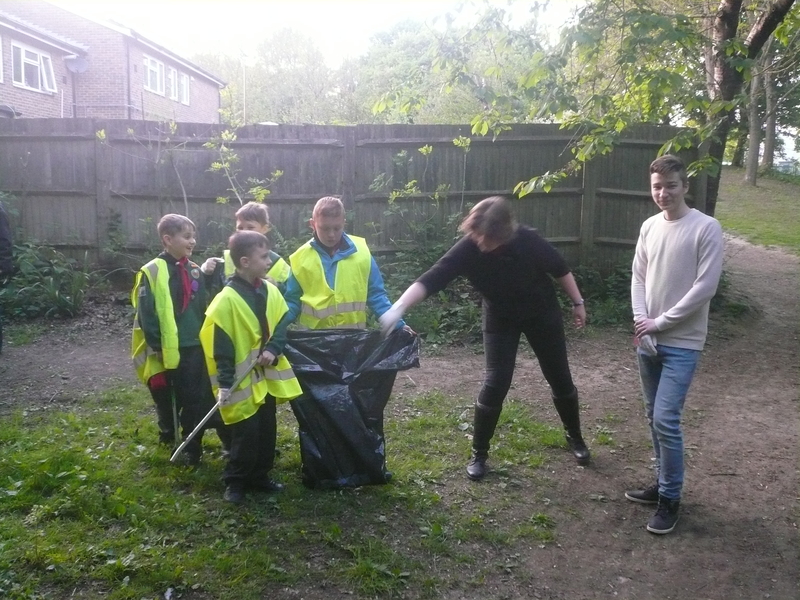 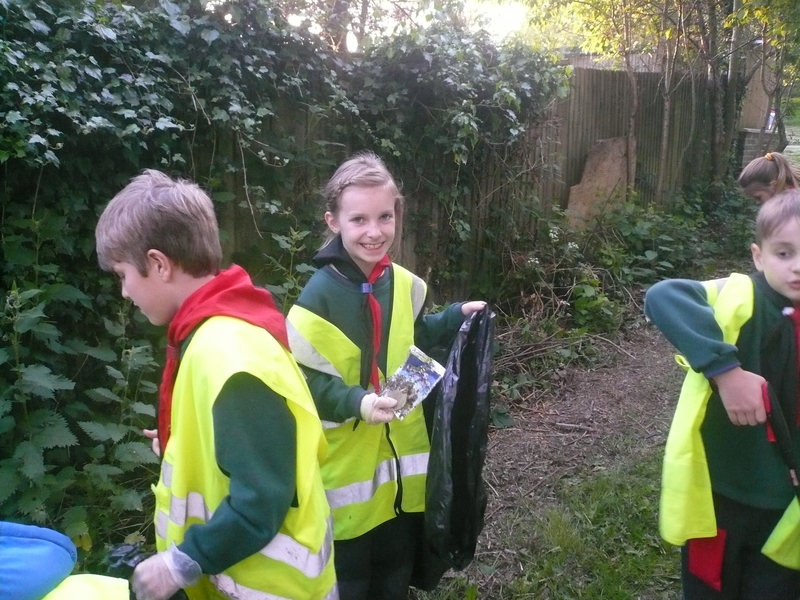 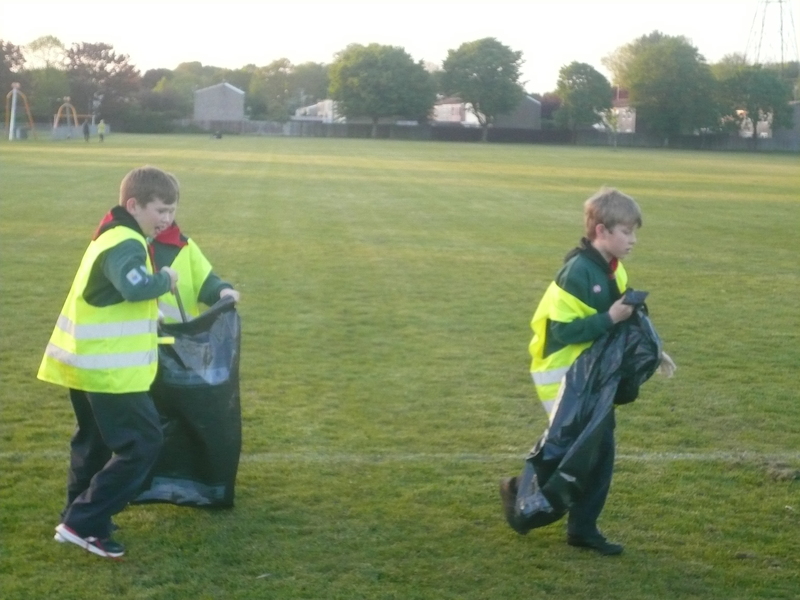 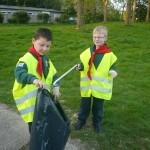 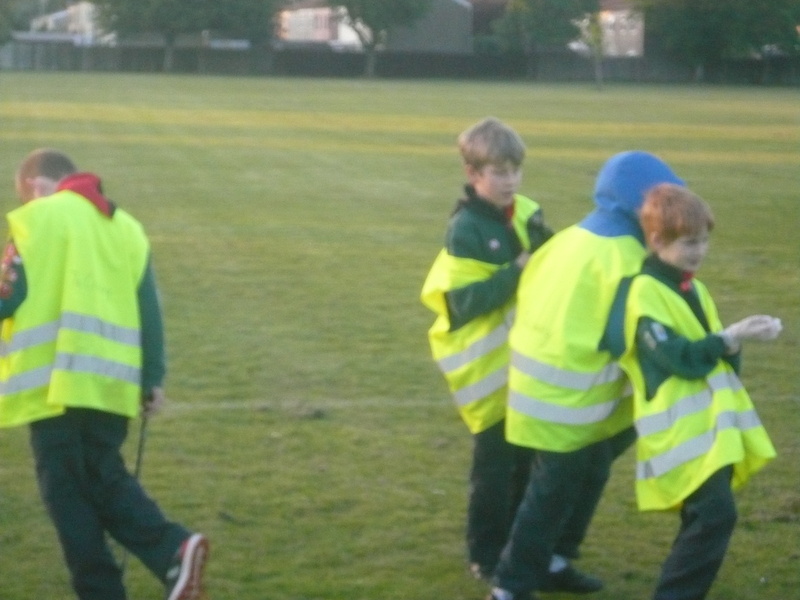 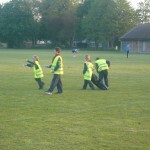 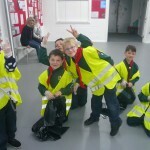 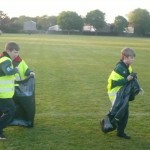 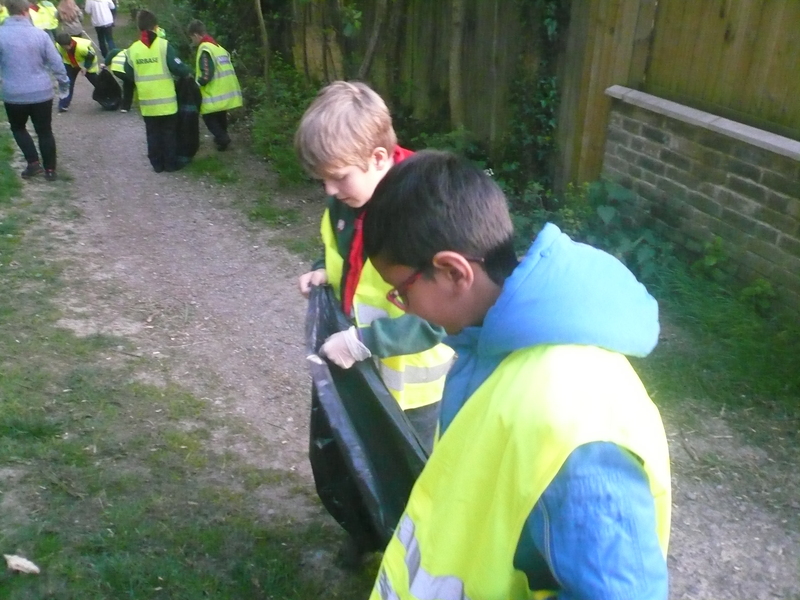 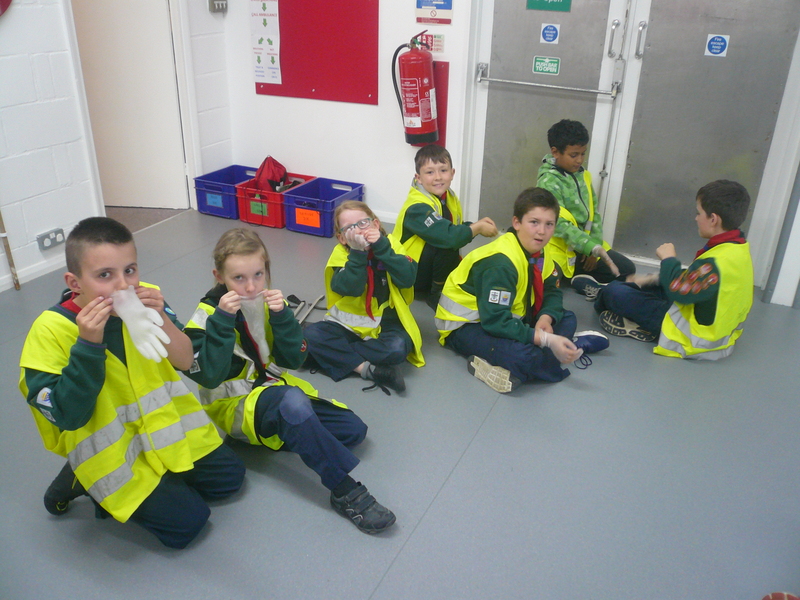 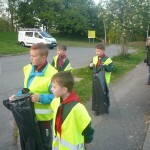 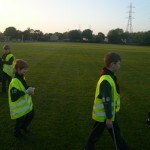 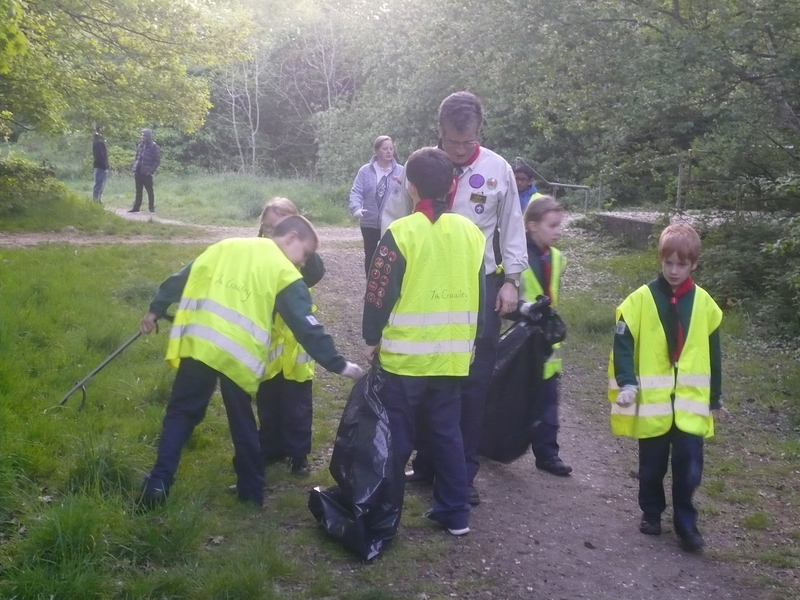 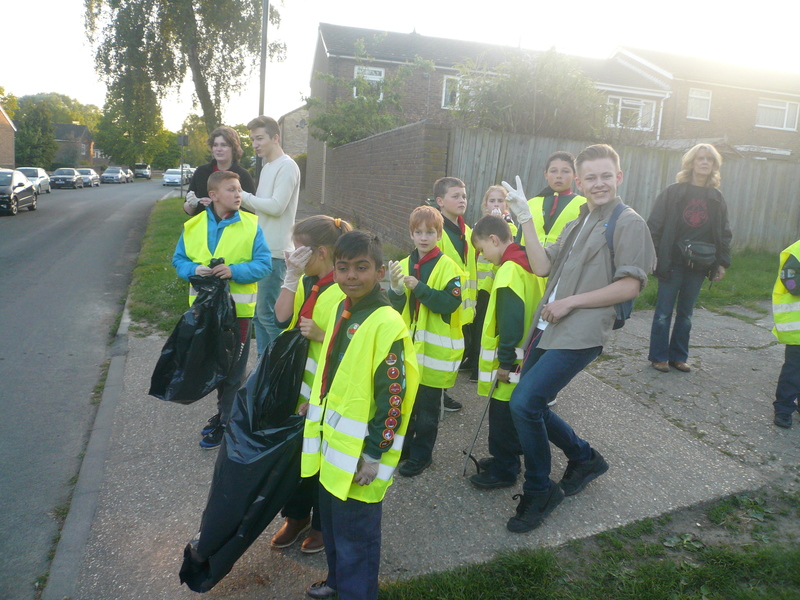 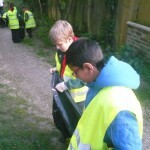 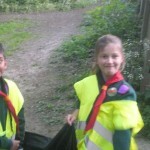 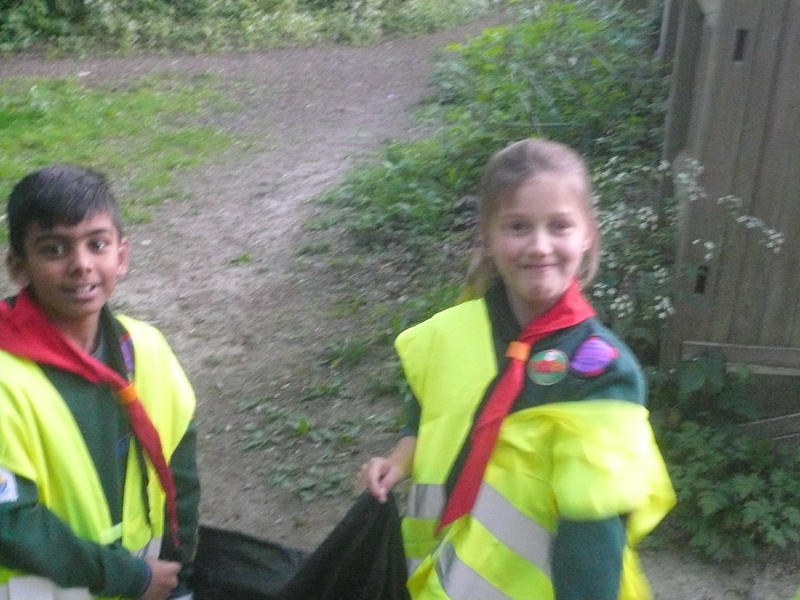 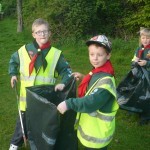 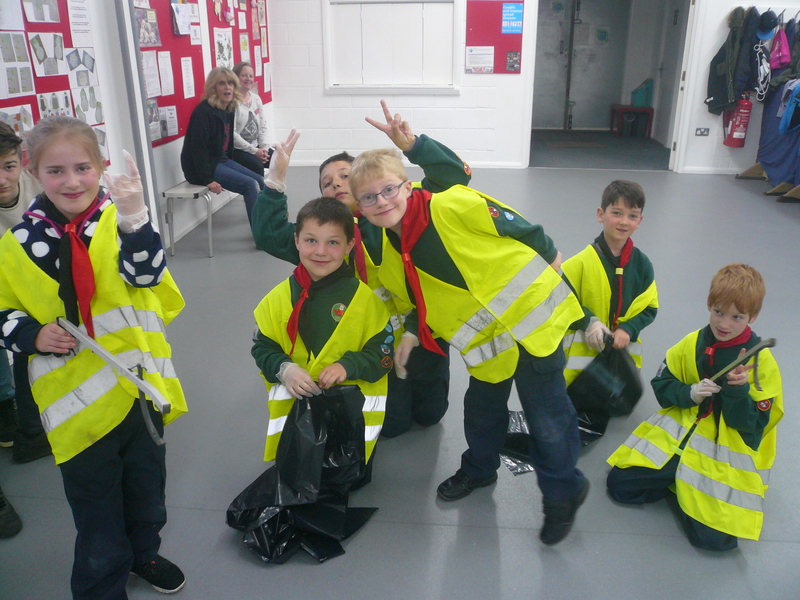 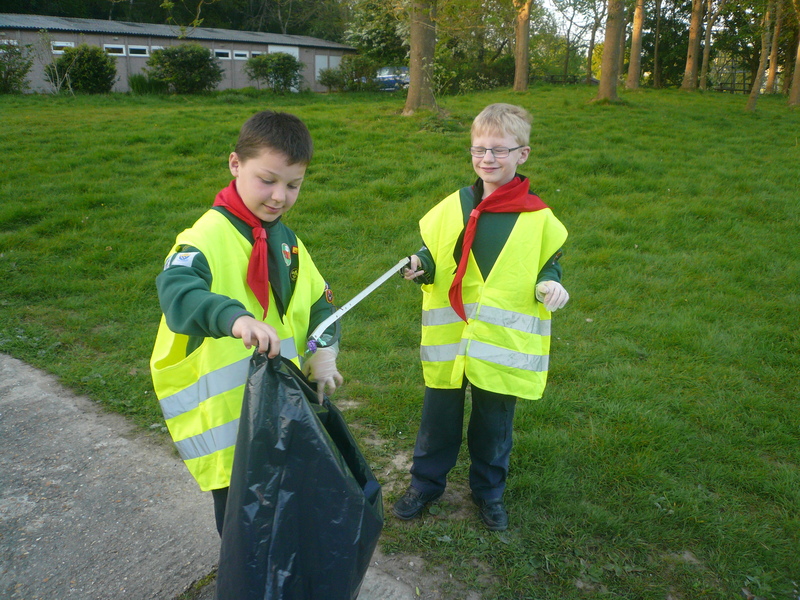 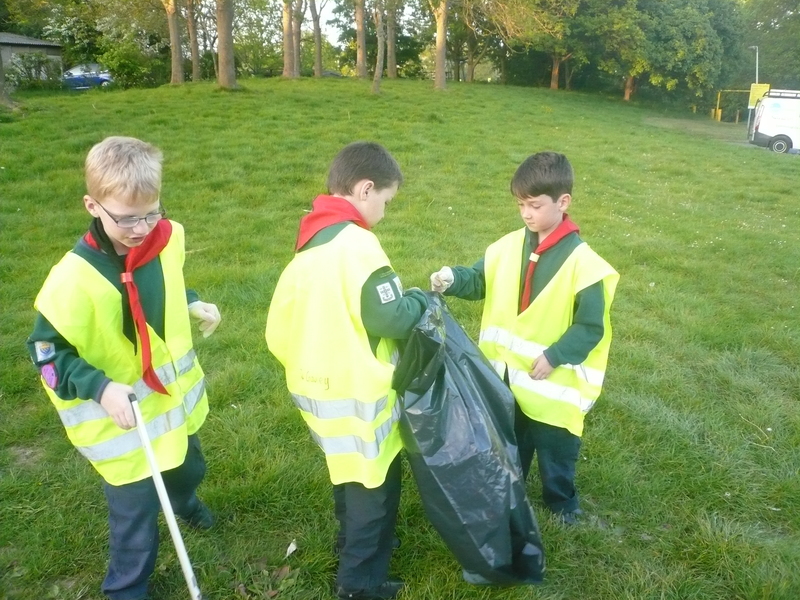 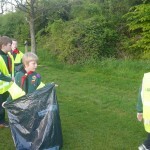 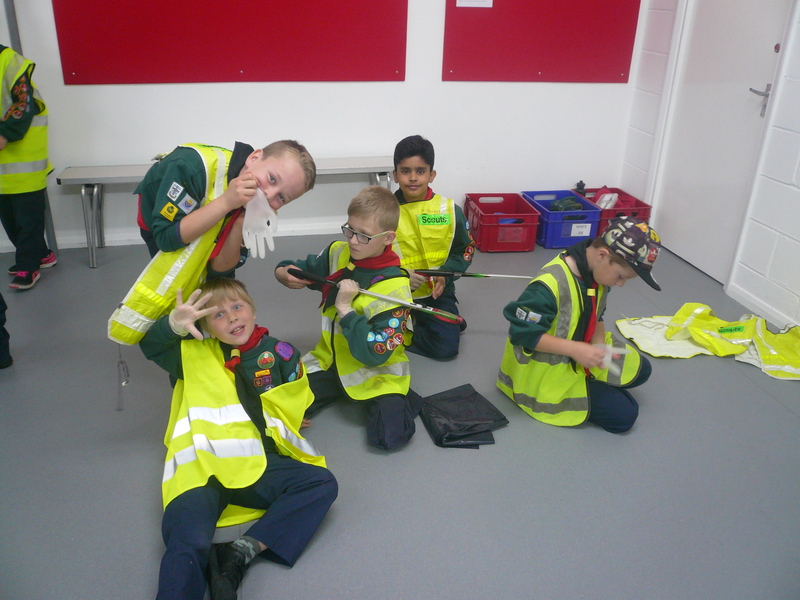 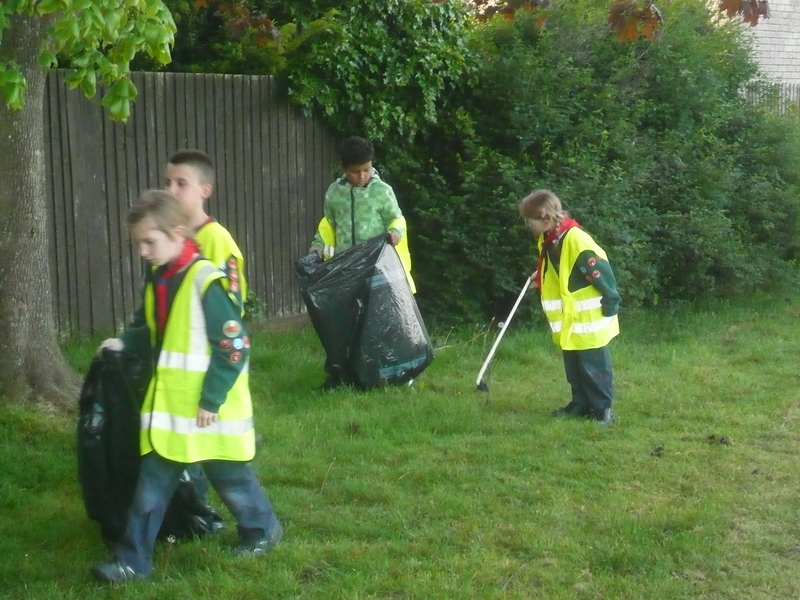 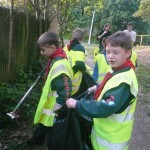 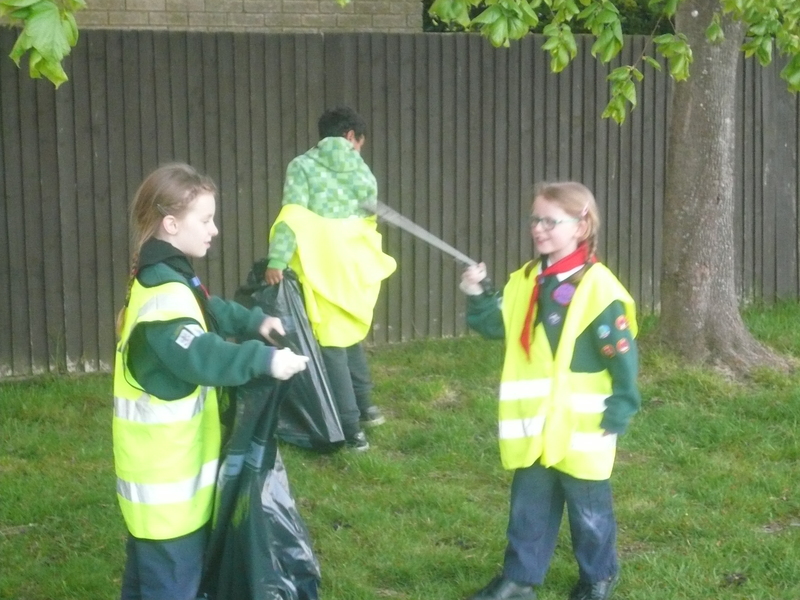 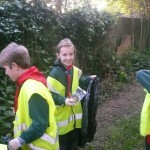 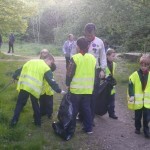 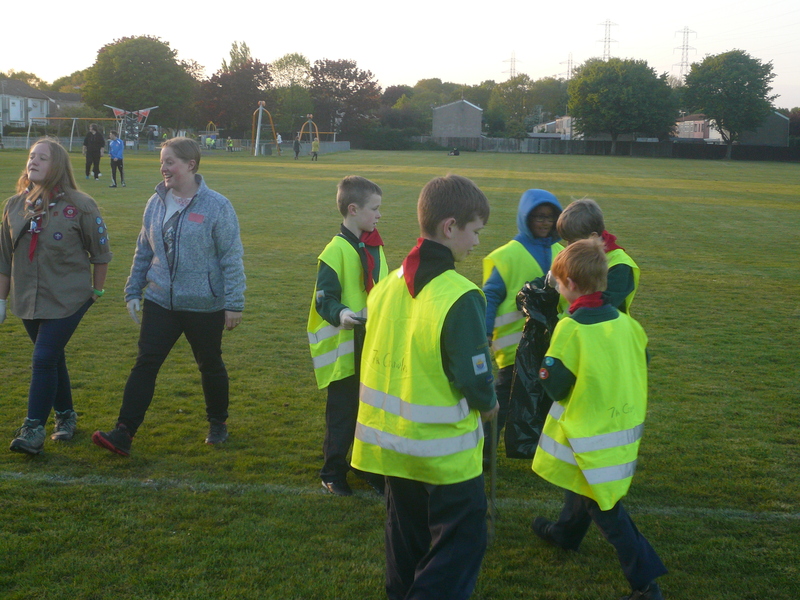 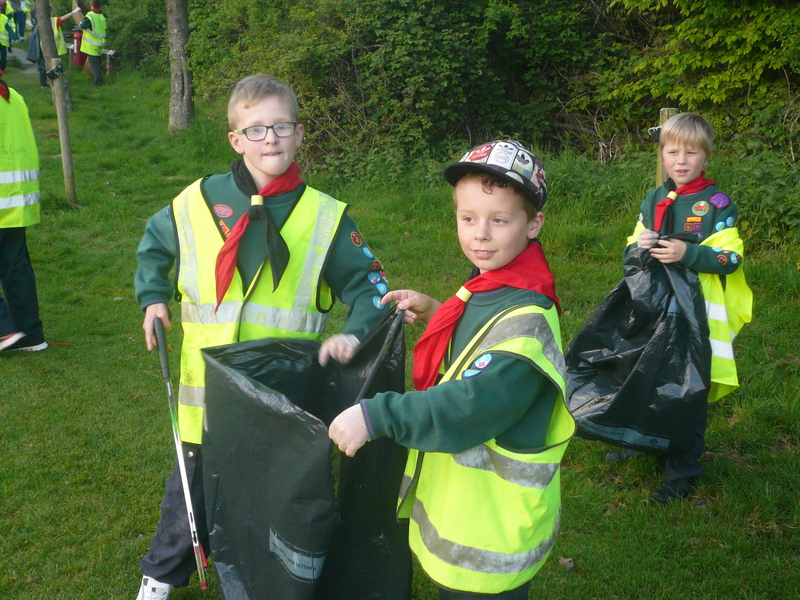 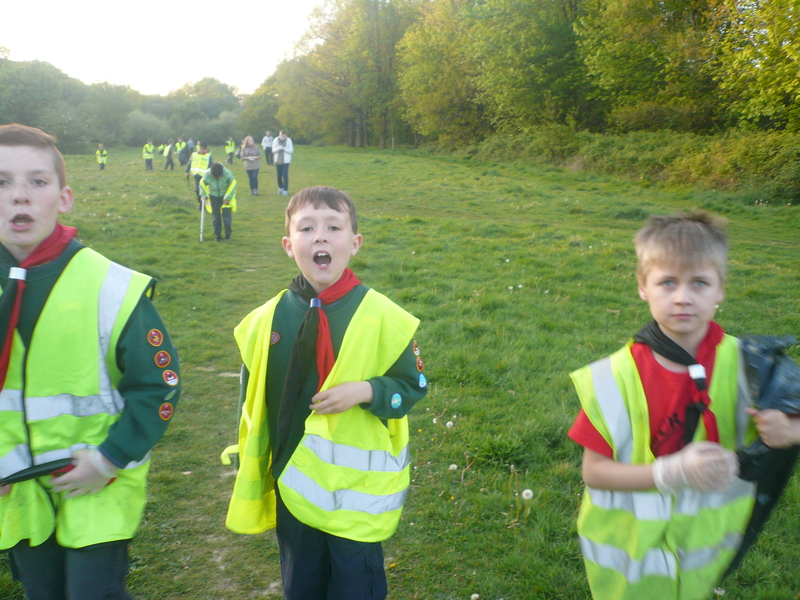 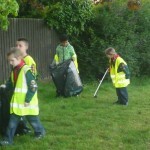 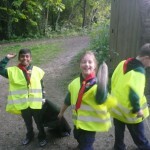 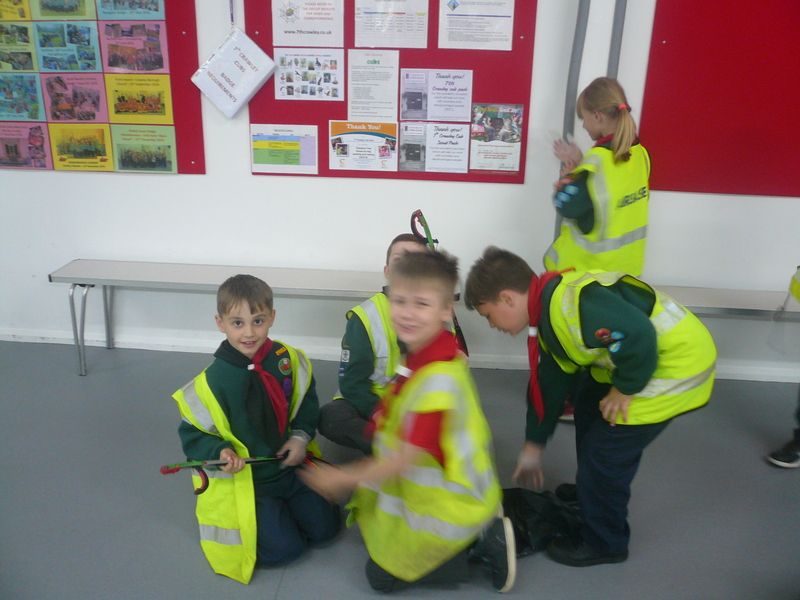 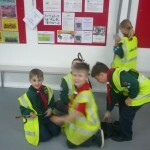 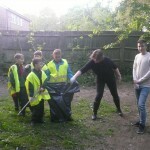 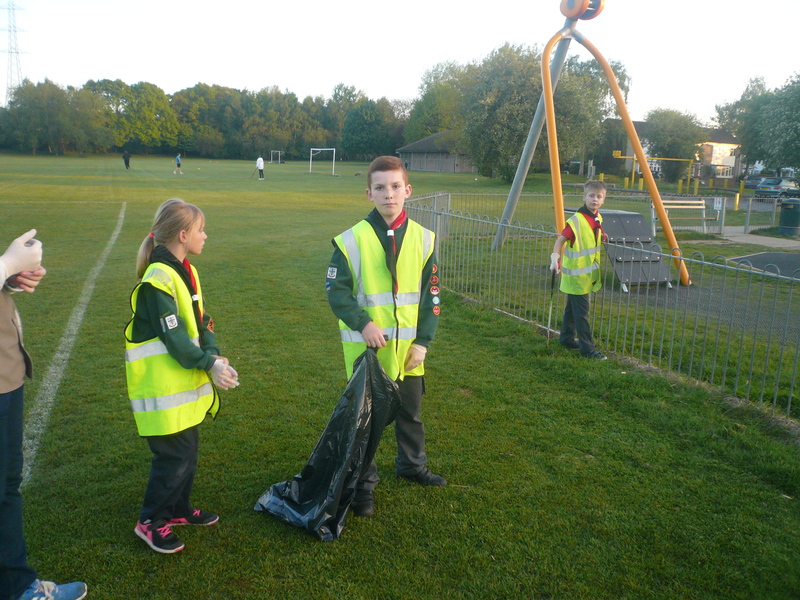 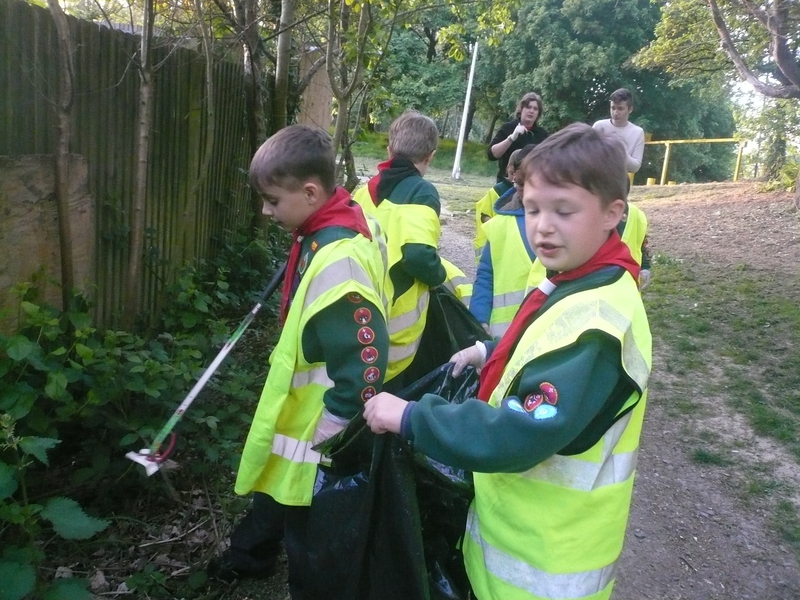 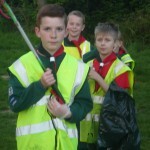 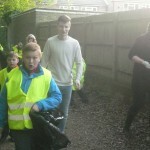 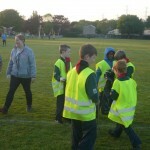 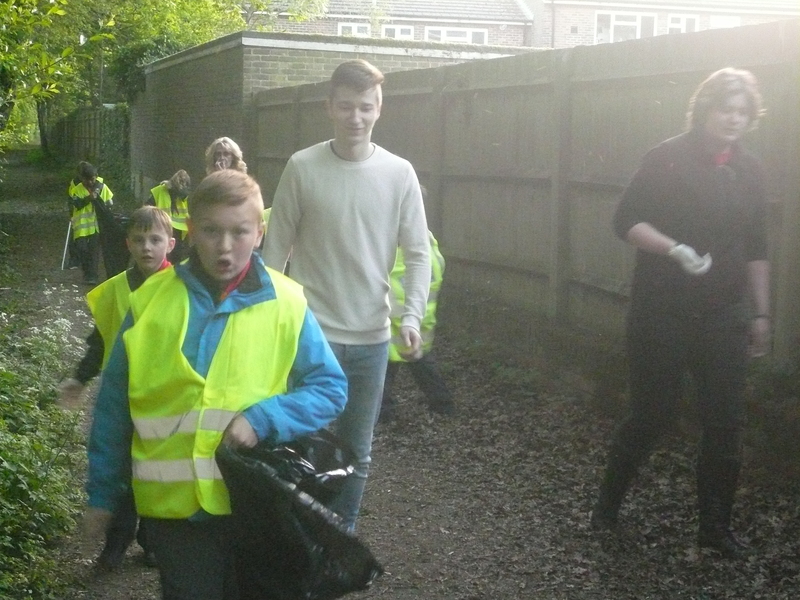 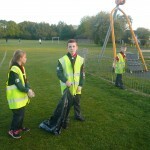 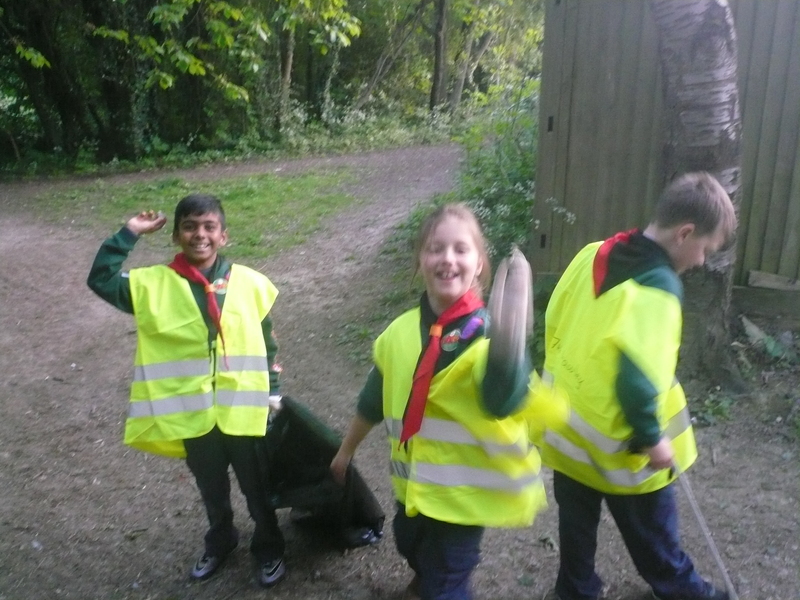 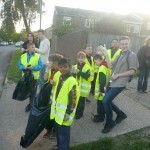 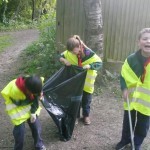 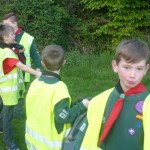 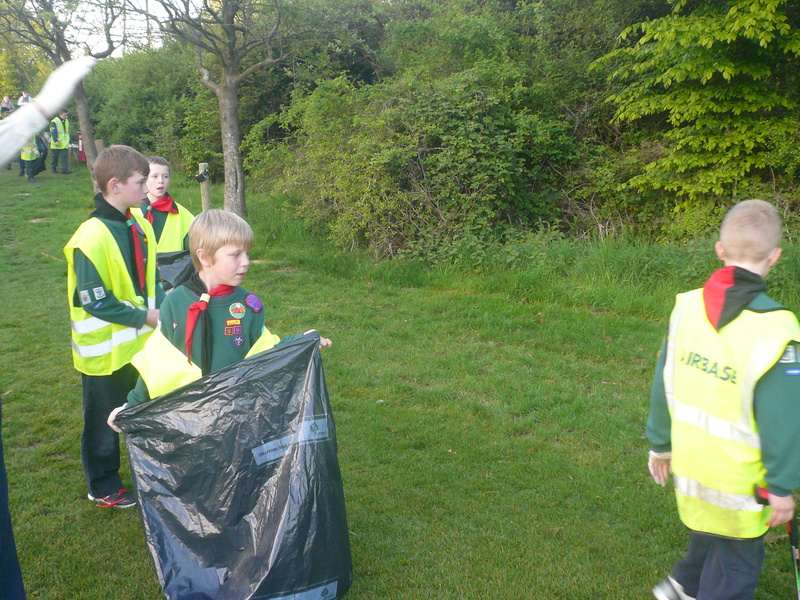 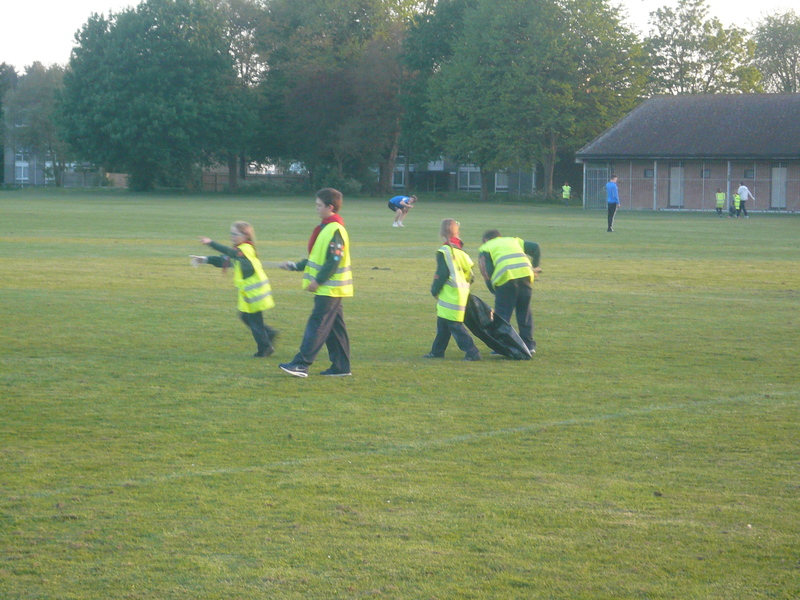 Armed with fluorescent jackets, gloves, litter-pickers and black plastic rubbish bags the Cubs then had a very enjoyable 45 minutes working in their small teams collecting up armfuls (not literally!) 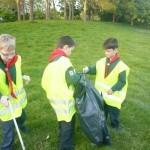 of rubbish. 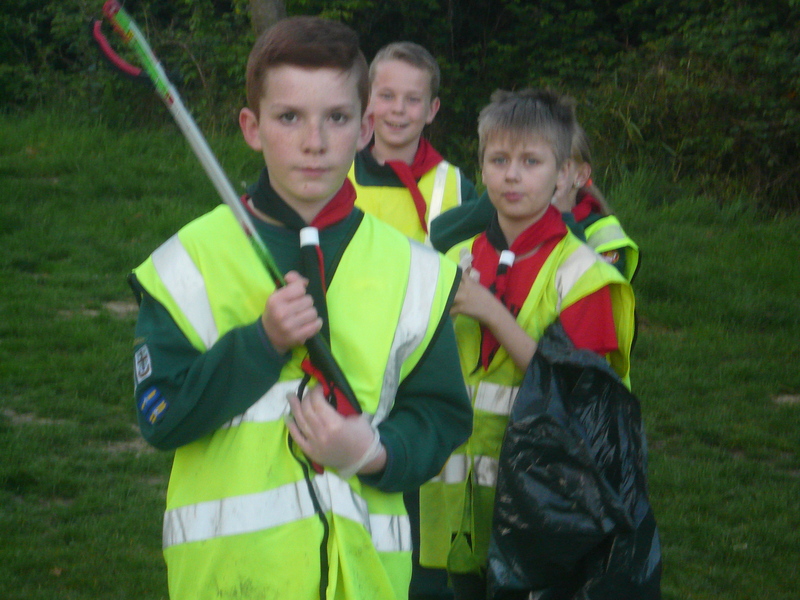 Many thanks to those kind parents who took the rubbish home with them to add to their own rubbish. 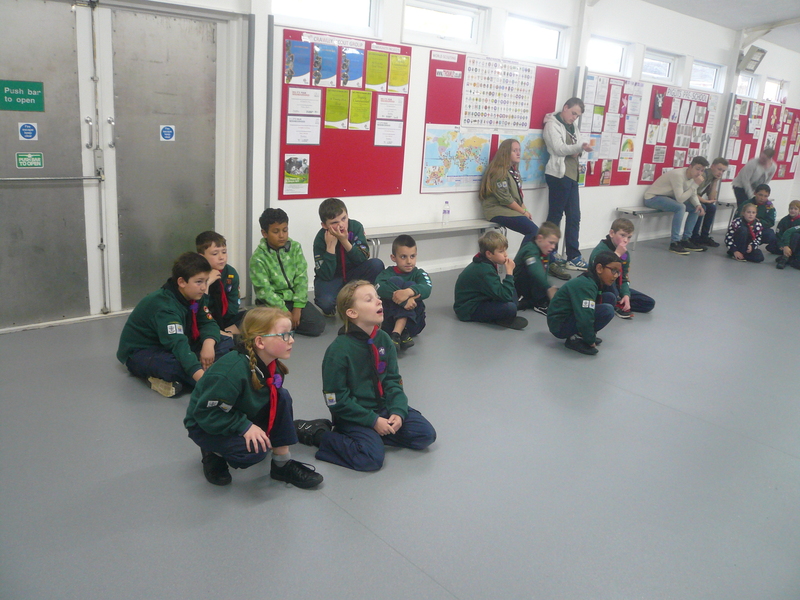 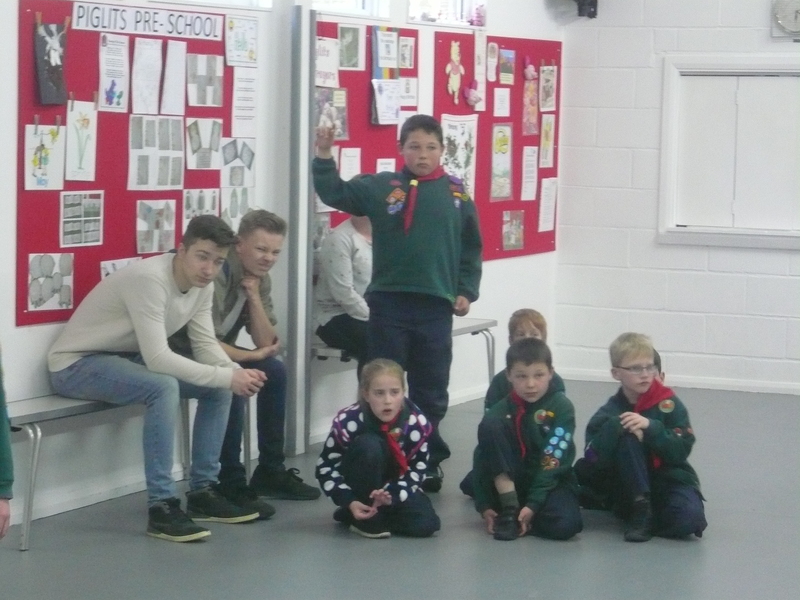 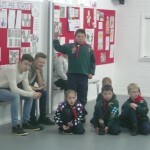 Some of the Pack were also presented with World Faiths and/ or Entertainer badges from last term. 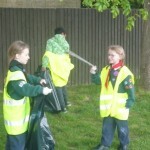 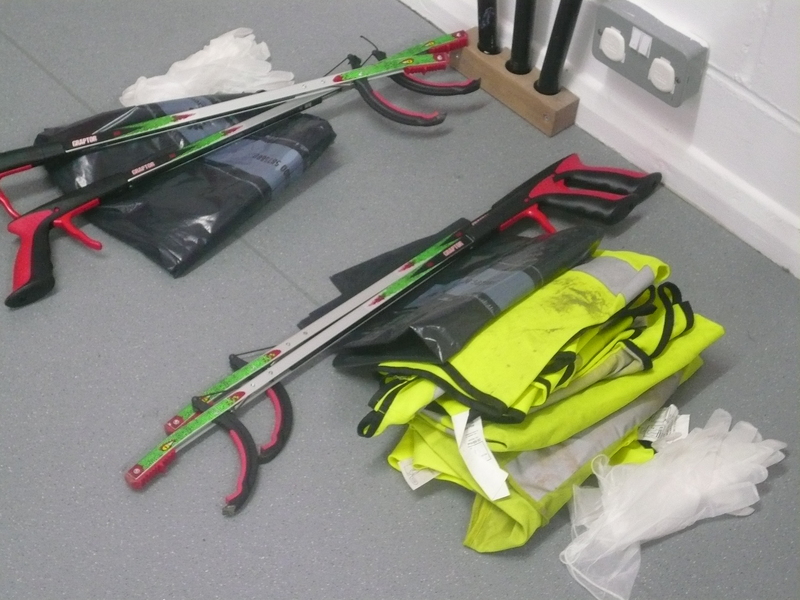 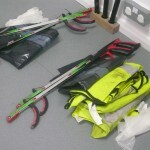 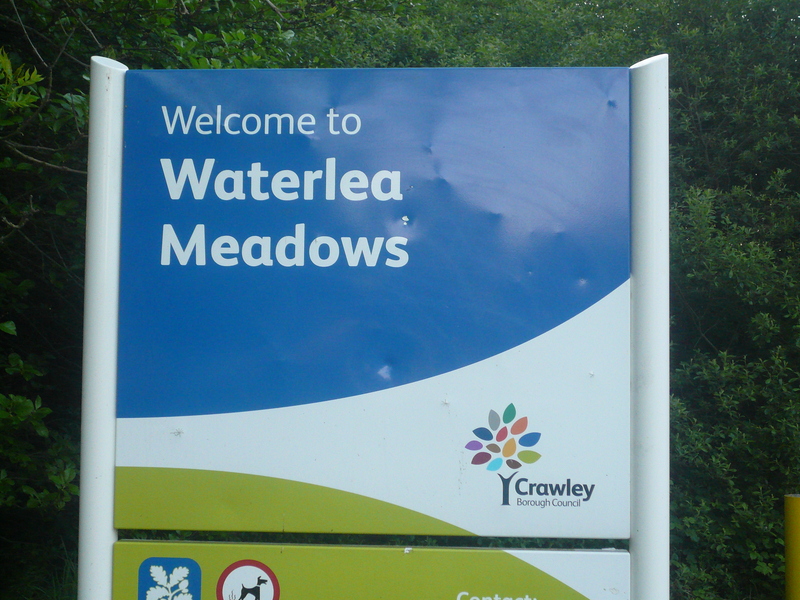 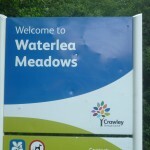 My thanks to Crawley Borough Council for supplying the litter pickers, gloves and rubbish bags.